On August 21, a total solar eclipse will be visible to many people spread across the USA. For most, this amazing spectacle will only be visible for a couple of minutes. If you are lucky enough to see it, make sure that you are careful to protect your eyes! 113 Comments on "Total Eclipse of the Sun"
Really was a once in a lifetime experience… It was “Totality” Amazing! i only saw partail eclipse!!!!!!!!!!!!!!!!!!!!!!!!!!!!!!!!!!!!!!!!!!!!!!!!!!! so did I, dont feel bad, in 2090 theres another solar eclips, hope we live long enough to see it, and hope its totality. It was cloudy where I live. But just AFTER totality, it came out from underneth the clouds. Still, a life changing experience. it was pretty cool. we will never see it again in our lifetimes. so, awesome experience. I have seen a blood moon before! so dark all you can see is the sun. I got to look at it with these special sunglasses , but listen to hanna DON’T LOOK AT IT WITHOUT SOME DARK SUNGLASSES!!!!!!!!!!!!!!!!!! This was a very educational video, thanks. In about 7 years there will be a total solar eclipse in my state, Texas. And, i cant believe that in a few billion years the moon will dissapear. thats crazy. i live in Big Lake. But i dont think the moon will be going enywhare in a billion years becous the moon dose move in an olvol patern. the reasone why people say its going to move away is becouse the moon is going in a ovol patern so if you watched this video then its rong about the moon leaving they use ideas but that is all it is. an idea. The last one we had we did not get to see it no fun! Yep my friend looked at it and his eyes hurt for a long time so next time it happens don’t look at it, somempeople actually got blinded or color blind from it it is beautiful but dangerous. Agreed. When I saw the eclipse in August I almost died, it was so breathtakingly beautiful. that is really cool. I really like learning about the solar eclipse! It was drizzling where I was to but I saw it for a little bit and It had speacial glasses too. when will be the next solar eclips in Vietnam? Also, i think people in Vietnam call lunar eclips blood moon. anyone ever seen a blood moon before? I’ve seen a Blood Moon before…. -the moon so it makes it orange or blood moonish. It’s very neat even thought a hour later it’s gone. What kind of sunglasses do we need to wear to see solar eclips? So cool! 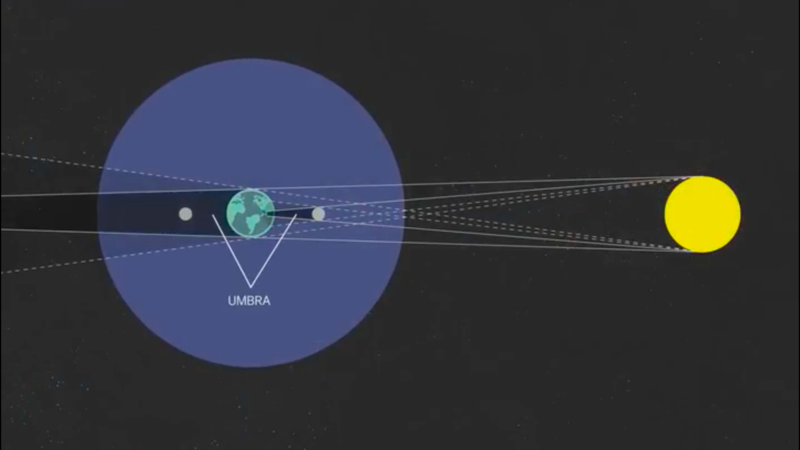 Nice way to show the science behind the eclipse. It was pretty spectacular. Thank you, Acellus! was i the only one who noticed that this was named after a song ” total eclipse of the heart”? wow!!!!!!!!!!!!!!! it’s so cool especially when its the total eclipse!! ive seen a solar eclipse it was so cool ive also seen the lunar eclipse that was cool to! i saw an eclipse at my school. If you were on the moon during a lunar eclipse, it would look like a solar eclipse, and vise versa. Previous story Acellus Math Highlights!